Fred Sokolow The Gershwin Songbook. George and Ira Gershwin’s beautiful songs are timeless jazz standards, and they sound great on guitar. In this dvd, Fred plays and teaches six complete Gershwin arrangements, including guitar backup (for singing) and instrumental chord solos for each tune. Just for fun, Fred includes the rarely-heard introductory verses to the songs, as well as ad-lib instrumental solos. 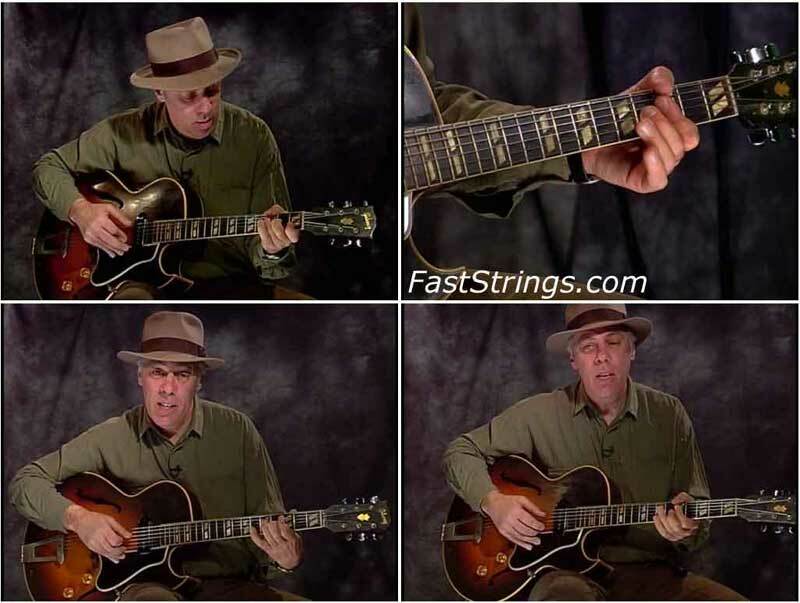 After playing each tune, Fred gives you a rundown on the arrangement, going over tricky spots and analyzing the chord progression and substitutions. Then he replays it slower, on a split screen with close-ups of both hands. Best of all, you can read all six arrangements (tablature, music and chord grids) in the booklet that comes with this dvd. Chord soloing (playing the melody and chords at the same time) is a very complete and satisfying guitar style. This lesson will get you playing some of the classiest jazz tunes ever written: They Can’t Take That Away From Me, Nice Work If You Can Get It, Our Love Is Here To Stay, Oh Lady Be Good!, Someone To Watch Over Me and A Foggy Day.